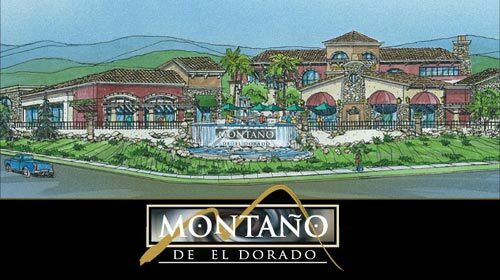 Simply put, Montano de El Dorado will be the place to shop, dine, and visit in Eastern Sacramento and El Dorado Counties with its diverse mix of retailers, restaurants, galleries, boutiques, wine and gift merchants, a day spa and other exciting venues. Located at the corner of Latrobe Road close to Highway 50. This 36,000 SQ FT plaza is slated to open in the summer of 2007. Further expansion plans include an additional 150,000 SQ FT to be launched in 2008.